Thanks to restored funding from the 83rd State Legislature, the Texas State Library and Archives Commission (TSLAC) has reestablished a statewide database program for K-12 public schools and open enrollment charter schools. Use the buttons below to search any of these online resources. Or use the button below to search all the Gale databases at once. See your campus library staff for login and password. Britannica Ebooks - Elementary Ebook collections. See your campus library staff for username and password. Britannica Learning Zone - Interactive learning games for early elementary. See your campus library staff for username and password. Britannica Online - Encyclopedia Britannica content, aligned for Elementary, Middle School, and High School. See your campus library staff for username and password. Elementary Ebook collections. See your campus library staff for username and password. Age-appropriate, curriculum-related content for the beginning research needs of K-5 students. See your campus library staff for password. Amazing adventures in science, nature, cultures, archaeology, and space. See your campus library staff for password. Curriculum-related content for the beginning research needs of K-8 students. See your campus library staff for username and password. Encyclopedia Britannica content, aligned for Elementary, Middle School, and High School. See your campus library staff for username and password. Innovative full-text newspaper resource that lets students instantly search by title, headline, date, author, newspaper section, and other fields. See your campus library staff for password. General OneFile - 24/7 access to the largest collection of full-text periodicals. See your campus library staff for password. Age-appropriate videos, newspapers, magazines, primary sources, and much more. Students will find support to complete assignments in core subjects including literature, science, social studies, and history. See your campus library staff for password. Academic OneFile - Complete source for peer-reviewed scholarly articles across all academic disciplines. See your campus library staff for password. EBSCO eBooks: Business Collection - Downloadable eBooks that can also be read online. See your campus library staff for username and password. EBSCO eBooks: High School Collection - Downloadable eBooks that can also be read online. See your campus library staff for username and password. Downloadable eBooks that can also be read online. See your campus library staff for username and password. Gale Literary Sources: Literary content integrates with subject indexing for a full research experience. See your campus library staff for password. Gale Virtual Reference Library - Single source for eBooks available 24/7 that offers unlimited and simultaneous circulation of your reference collection. See your campus library staff for password. General OneFile - Magazine, news, and journal articles on general interest topics and current events. See your campus library staff for password. GREENR (Global Reference on the Environment, Energy and Natural Resources) - Multimedia coverage of environmental issues, including health care and climate change. See your campus library staff for password. Health and Wellness Resource Center - Health-focused magazines, reference, video, and more. See your campus library staff for password. InfoTrac Newsstand - Regional, national, and world newspapers. See your campus library staff for password. LitFinder - Literary works and secondary source materials covering literature and authors throughout history and across the globe. It includes full-text poems and poetry citations, as well as short stories, speeches, plays, biographies, work summaries, photographs, and a glossary. See your campus library staff for password. Literature Resource Center - Supports teaching critical thinking and analysis by expert example through the world's largest curated online collection of literary criticism. See your campus library staff for password. Opposing Viewpoints in Context - Pro/con viewpoint essays covering today’s latest social issues that explore hot topics from all perspectives. See your campus library staff for password. Science in Context - Academic articles, videos, experiments, and more. See your campus library staff for password. Chilton - Quick online access to repair, maintenance and service information on popular vehicles, with information on actual tear-downs in easy to follow step-by-step procedures. See your campus library staff for password. EBSCO Academic - Ebooks for research and for entertainment. See your campus library staff for username and password. EBSCO Learning Express: Computer Skills Center - Video courses to learn popular software and computer basics. See your campus library staff for username and password. EBSCO Learning Express: Job and Career Accelerator - Powerful tools and guidance to achieve your career goals. See your campus library staff for username and password. EBSCO Learning Express: Learning Express Library - Resources for test preparation, college and career preparation, skills development and more. See your campus library staff for username and password. EBSCO Learning Express: PrepSTEP - Test prep and skills development. See your campus library staff for username and password. Britannica Spanish Reference Center - This site offers resources in Spanish for elementary and middle school students. Britannica Spanish Reference Center - This site offers resources in Spanish for high school and college students. Informe Académico - Full-text resource that meets the needs of Spanish-speaking learners. Features title annotations in both English and Spanish to help non-Spanish speaking staff easily assist users. 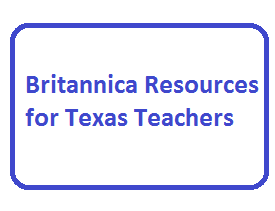 Britannica: Texas Educator Resources - Templates and training materials for teachers. See your campus library staff for the username and password. EBSCO: Education Edition - eBooks for educators. See your campus library staff for the username and password. EBSCO: Training Tutorials, Tips, & Tricks - Training for teachers and students. Educators' Reference Complete - Academic articles, reports, news, book reports, and more in the field of education. See your campus library staff for the username and password. Explora: Educators' Edition - eBooks for educators. See your campus library staff for the username and password. TeachingBooks.net - Resources for teaching literature. See your campus library staff for the username and password. 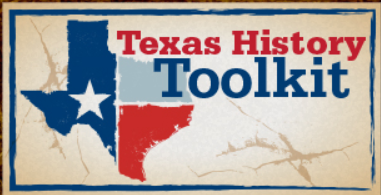 Texas History Toolkit - Links to resources for Texas History, grades 4, 7, and 11.